The weekend has arrived and a chance to catch up with our reading. First on our list is to browse through the latest edition of Prehistoric Times, the magazine for fans of dinosaurs, artwork and prehistoric animal models and what a super edition issue 115 is. The Autumn 2015 copy of this quarterly publication features a fantastic, in-depth article on the making of the video game called “Saurian”. The creators of this stunning game explain their reasons for basing the concept on the fauna and flora of the famous Hell Creek Formation of the United States. Players of the game will get the chance to play a number of different animals, including the role of a herbivore and a potential prey item – Pachycephalosaurus. On the subject of “bone heads”, Pachycephalosaurus is one of the highlighted prehistoric animals in the magazine and in a carefully crafted article, writer Phil Hore explains the history of “The Megatherium Club” and tells the story of some of this society’s more famous and notorious members. The Smithsonian Institute will never be seen in the same light again! Look out for some splendid Pachycephalosaur inspired artwork sent in by readers. 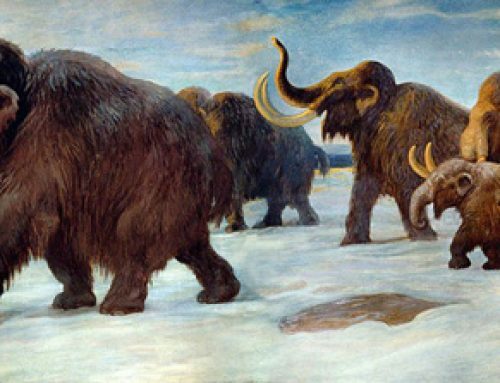 The second prehistoric animal the magazine sets its sights on is Deinotherium and once again Phil Hore provides a very informative article. More wonderful artwork is included to illustrate this piece. Look out for the detailed line drawing by British artist John Sibbick as well as David Hicks interpretation of a Deinotherium calf being rescued. Notable mentions go to John Goodier and our good friend Patrick Krol Padilha. There is also a photograph of an amazing sculpture created by Jim Martinez. Editor Mike Fredericks, takes time out to give Everything Dinosaur a mention, our customer service and attention to detail have helped Everything Dinosaur to become a global player in the dinosaur models market and 2015 marks our tenth anniversary! Tracy Lee Ford provides further information on his poster presentation for the annual Society of Vertebrate Palaeontology conference (held in Dallas, Texas), the controversial area of how to tackle the “lips” of Theropods. Lots of analysis, clever illustrations and comparative drawings to get your teeth into (no pun intended). When done sir, we now have an article as reference material which covers fossae, lizard skull morphology as well as the smooth textured skull bones of Ornithischians. Randy Knol gives us an overview of new model releases and we note the “bootleg” Papo Archaeopteryx information that he kindly discusses, it is certainly a case of buyer beware! For those collectors interested in what is coming out in 2016, keep checking Everything Dinosaur’s blog site and our Facebook page: Everything Dinosaur on Facebook we have not finished publishing all our exclusive “first peeks” at what models are due out next year. Our chum, Anthony Beeson, continues to chronicle the history of the classic Invicta models and delivers a very informative and beautifully illustrated article all about the different variants that were manufactured. The guide to base marks and the years of production is most enlightening. From Britain to Brazil with an article submitted by Sergio Luis Fica Biston all about the Sauropods that once roamed the largest country in South America. The editor, Mike Fredericks gets in on the action with a review of new replicas and resin casts, there is a section dedicated to a number of fossil and palaeontology news stories and look out for review of “How to Clone a Mammoth” by the very talented Beth Shapiro in the Mesozoic media section. Beth very kindly sent an inspection copy of this super book to Everything Dinosaur about six months ago when it first came out. Look out for the article on visiting the “Dino Hotel” and we are delighted to see Jan Harrison’s article all about building up the Pegasus T. rex and Triceratops kits. We know these kits very well, Everything Dinosaur is the exclusive seller in the UK and our next shipment is due in early next week, which makes us swish our dinosaur tails in excitement! It is that time of year again, when if readers can tear themselves away from the magazine, they are asked to vote for their favourite prehistoric animal model kit of 2015, the best animal toy figure, favourite dinosaur book and most impressive prehistoric animal discovery – subscribe to Prehistoric Times and join in the fun.